Each client has a private bedroom. Each room has been fully furnished and decorated by an interior designer. The rooms are warm and welcoming, and each one is distinctive. Some people prefer to bring their own personal furnishings, which they are welcome to do as it helps them to feel more at home and more comfortable with familiar things in sight. 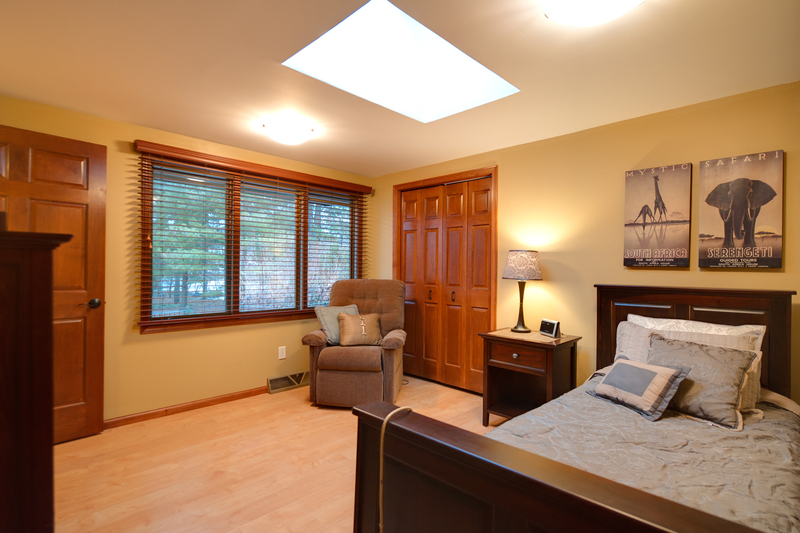 Each room comes with a regular bed, but we will provide a hospital bed if a client needs one. In addition to the double-doored closet in the bedroom, there is additional storage in the home. The staff or family members can assist clients in putting off-season items in storage. All of our bedrooms are located in one wing of the house, which allows for optimal night-time supervision by our awake-night staff. Each room is also equipped with a pull-cord so clients can signal for staff assistance. The hallway makes a nice place for clients to maintain their walking skills. Both of our homes have a hand rail the entire length of the hall for stability and safety. Each room has a lovely view, as well window treatments to block out the light when desired. Each bedroom also has its own private bathroom. Although many clients require staff assistance for bathroom care, there is a pull cord so more independent residents can call staff when needed. We find that clients and their families enjoy the privacy of a bathroom that is not shared by others. 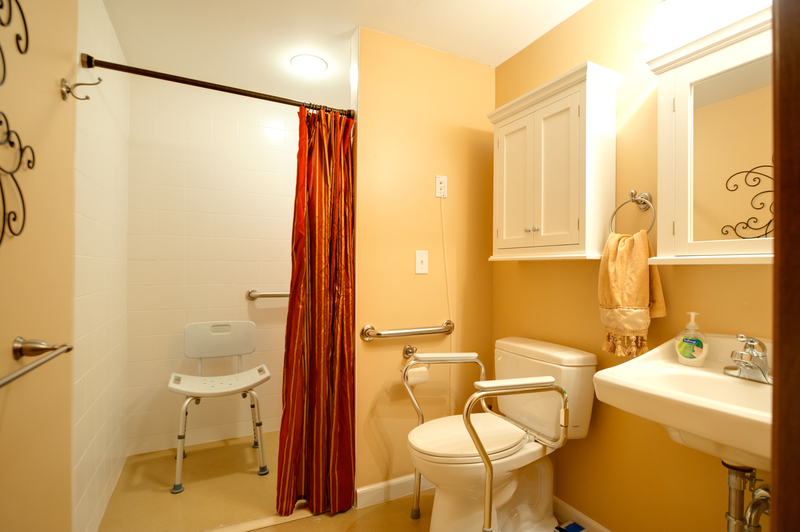 The bathroom is equipped with a roll-in shower and grab bars, so that we can meet each client's changing needs. The showers will accommodate any type of equipment that is needed for safety including shower benches, chairs, and wheel-in commodes. The hand-held shower head ensures that each client can participate in their own care for as long as possible. The walls were intentionally painted a contrasting color to the fixtures to help them stand out better to a person with vision impairment or depth perception issues. 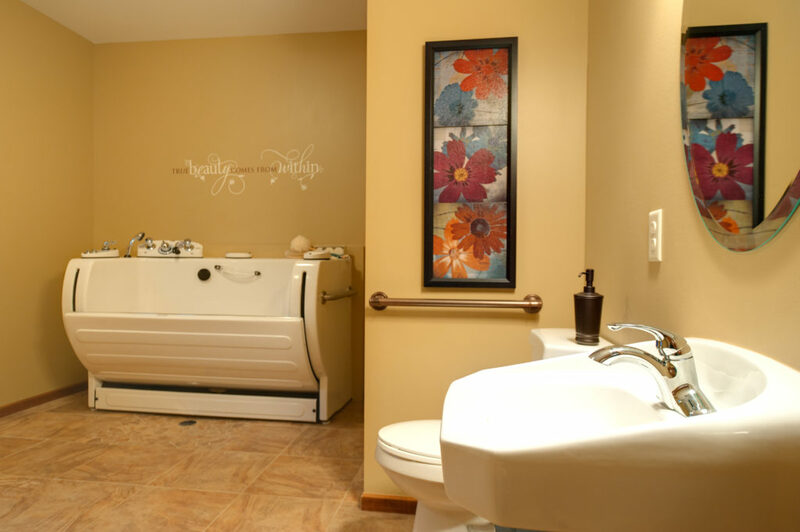 Our Shoreview home also offers the option of a whirlpool spa and a hair salon.